Geraldine M. Wilson, 86, of LaRue, died Saturday morning October 20, 2018 at the Riverside Methodist Hospital. Gerry was a 1950 graduate of Duquesne High school. 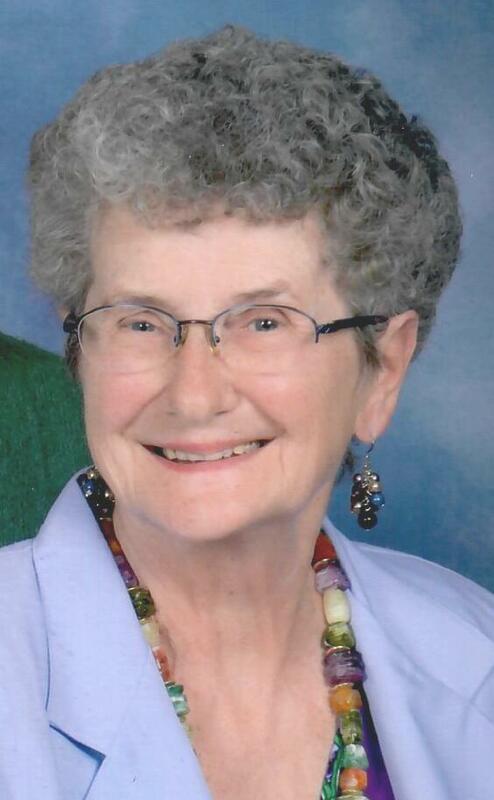 She was a member of the St. Mary's Catholic Church in Marion and a former long- time member of St. Joseph's Catholic Church in LaRue. She worked for many years at the Marion Power Shovel in Marion as a secretary, and also at Purex Industries. Surviving is her daughters: Lori Wilson of Marion and Kathy Wilson of LaRue. Eric (Misty) King all LaRue. Mass of Christian Burial will be held Thursday October 25, 2018 at 10:30 am at St. Mary Catholic Church in Marion, Rev Thomas Buffer will officiate, burial will follow in the Fairview Cemetery near LaRue. Friends may call Wednesday from 5-7 pm at the Stofcheck-Ballinger Funeral Home in LaRue, where there will be a Rosary service at 7:00 pm. Memorial gifts may be made to St. Jude Children’s Research Hospital, 262 Danny Thomas Place, Memphis, TN 38105 (www.stjude.org). So sorry to hear. Prayers for all the family. Kathy you are all in my thoughts & prayers! So sorry for your families loss. You will be in my prayers. Sending our deepest sympathy and prayers . May god bless you during this difficult time. Remember Gerry very well from the Shovel. She was a wonderful person and great at her job. There are not many like her. She is surely in Heaven. Jack and I send our sincere condolences to you with the passing of your mother. I know Ruth looked forward to her phone calls and visits and considered her a good friend and neighbor. May you find peace in knowing she's in a better place and back with family and friends. Regards - Jack & Laura Williams - family of Eston and Ruth Williams. We are so sorry about Gerry. She was a one of a kind .. Love ya deep and could give ya a what for in the next breath.. I know there is one heck of a party in heaven right now.. Polka all the way..
Dear Lori Wilson and family. Our deepest sympathies to your family at the loss of your mother. We wish you blessing of comfort and peace, through this difficult time..